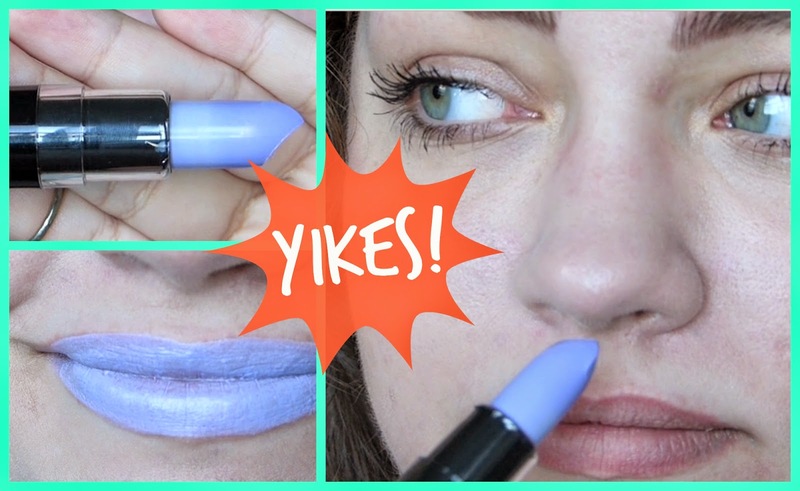 Thrift Thick: NYX Macaron Lippie: First Impression + Review! Because I'm an absolute goob and can't seem to keep a promise to be "back" on my blog, I'm just going to stop apologizing and hope you all are okay with my terribly infrequent/unpredictable posts and updates. I really am so sorry about it but with grad school and my jobs… I just can't always keep the ol' blog running smoothly like I can at other points of the year. Hopefully you can forgive me; I'm beyond grateful for those of you who stick around! I want to try one of these so bad! The formula looks surprisingly good! That lipstick is like a car accident...you really don't want to look, but you just can't help it! When you starting applying that color, my mouth was just hanging open in shock! I have to give it to you though, you were confident enough to wear it all day long! I live in a very, very small town (does not even a grocery store!) in the NW and it is really cool for me to watch you ride the train and go about your day. I kind of live the outgoing art student in the city life vicariously through you! Thanks for the review... you daring purple lipped artist!